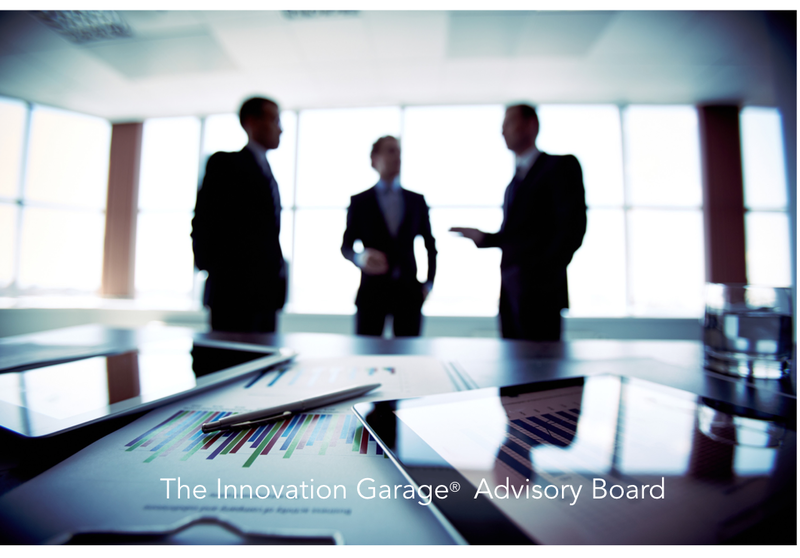 We are pleased to announce our newest advisory board members at The Innovation Garage®! We are thrilled, honored and humbled to have them help us learn, grow, get smarter AND be available to assist in delivering further value to our clients. Each has background and experience that covers many industries and global organizations. We look forward to their advice, guidance and support. Scott and Dave will help us build out our plans for long term growth so we can help our clients grow with us! Scott Haack joined The Innovation Garage in 2017 to focus on the development and commercialization of his personal inventions and various consulting opportunities. 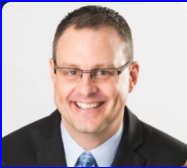 As an entrepreneur, innovator, chiropractor and medical device development professional, Scott has consistently enjoyed developing products and services that enhance people’s health and quality of life. Scott brings with him nearly 20 years of innovation and entrepreneur experience. Scott launched 3 startup companies built on products he invented and sold of two of the three companies to larger entities. These inventions consisted of an innovative CoreLinks golf swing training product along with unique golf putter, iron and driver designs, the SoftTouch™ seatbelt device for patients with medically implanted devices and a collectible ALTAIR® premium timepiece that highlights iconic events. Recently, Scott was selected to appear on network TV regarding one of his inventions. Filming for the show continues throughout 2018 and will air in October 2018. He spent the past 11 years with the US Endoscopy division of the STERIS Corporation where he most recently served as the Senior Director of New Product Research, Design and Clinical Affairs. In this role, Scott lead the research, ideation and design of new products in the GI Endoscopy space. He conceptualized and designed the Histolock™ Resection Device which has been recognized by 200+ physicians as a groundbreaking product in tissue acquisition and the Moray™ Micro-forceps, has been deemed a “game changer” for cyst diagnosis and management. In addition, Scott produced 20 patents/patent applications that will drive revenue and growth for years. In addition, Scott has met and collaborated with many top physicians from all over the world regarding their new and exciting medical device ideas as well. Earlier in his career, Scott served as a Chiropractic Physician having treated many people suffering from various musculoskeletal disorders. During his time in private practice, Scott created a “bridge” device along with a specialized technique to increase the sacral base angle of those suffering from disc related problems associated with a hypolordosis of the lumbar spine. Patients consistently experienced a 70% increase in their sacral base angle thus normalizing their lordotic curve and subsequently eliminating their symptoms in most cases. Scott completed his doctoral work, receiving his Doctorate in Chiropractic (D.C.). from the Logan College of Chiropractic in Chesterfield, Missouri. He is a licensed Chiropractic Physician by the Ohio State Chiropractic Board in Columbus, Ohio and the National Board of Chiropractic Examiners in Greely, Colorado. Additionally, Scott holds a Bachelor of Science (B.S.) degree in Biology from Excelsior College in Albany, NY and a Bachelor of Arts (B.A.) degree in Sports Science with a minor in Chemistry from Malone University in Canton, Ohio. Scott enjoys scuba diving and exercising. His faith in Christ and his family are most important to Scott. Dave has more than 30 years experience in technical and product design fields. His skills include conceptual product design and development. In addition to product design, development and project management, his areas of expertise are concept generation sketching, 2d and 3d computer design and visualization, user-centered design and ergonomic analysis. While at Diebold, he represented the needs of the Differently-Abled communities by recommending accessibility compliance, ADA and other global accessibility standards. Performed end-user research, accessibility and usability assessments of all Diebold product lines. Over 26 years experience at Diebold, Incorporated a global leader in providing innovative self-service technology, security systems and related services where he provided innovative, ergonomic and user-friendly designs during his role as manager of Human Factors and Usability within the Strategic Design Group. He also carried out conceptual product designs as per marketing and consumer research with particular consideration to human factors and ergonomic analysis, product graphics, corporate image, model building. He also project managed the design of new products and product solutions including product concepts for trade shows. Illustrated technical manuals for service and customer documentation, including exploded, isometric, perspective and assembly views. Worked with teams of technical writers, engineers, and technical specialists to develop documentation for product manuals. Dave has degrees in Industrial Design and Graphic Design, graduating with honors in both and is passionate about his faith in Christ, his love for his wife and two sons and interest for inventing new product ideas that enhance and facilitate healthy living. ← Help Us, Help You! Collaboration Company Looking For Supply Chain Director Role!